Which Compressor for which tool? We are well experienced with different compressor applications, and offer the appropriate model to suit every application. This way you can select the compressor that best suits your personal requirements! 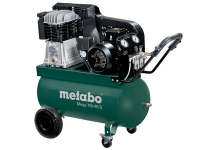 With various compressors of the basic, power and mega class, Metabo has a wide range of machines for generating compressed air. With this we offer the ideal solution for any application area. A wide range of accessory parts and compressed air tools also makes Metabo the only power tool manufacturer offering a complete compressed air system under one brand. 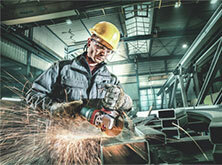 Professionals from different industries find modern compressed air technology for their area at Metabo. High-quality materials and perfectly synchronised components make our devices robust and reliable. The entry-level models of the basic class are suited mainly for simple commercial applications. They are particularly compact and therefore light and nimble when used. The machines of the power class are ideally equipped for applications in interior development and on the construction site. They are handy and mobile and deliver reliably compressed air for many professional applications. The instrument panels can be easily read and have, for example, a manometer for the vessel and working pressure. 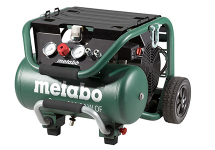 Particularly demanding compressed air tasks in the workshop are best handled with the compressors of Metabo's mega class. 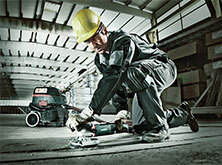 The extremely powerful compressors deliver large amounts of compressed air and are very robust. The V-belt drive with low speed gives an especially long service life to the compressors. The models of the power class have tanks with a volume from five to 20 litres and are all oil-free. Since the 1.1 to 1.7 kW powerful pumps do not have to be lubricated, the compressors can be transported in any position. Moreover, the Power 400-20 W OF offers a very quiet operation and is particularly suited for continuous use in closed rooms or inhabited buildings. No matter what compressor you settle for: At Metabo you don't get any hot air, but high-quality, powerful and durable devices. This is also guaranteed by our tank warranty against rusting, which covers 10 years. With an additional range of more than 60 compressed air tools and matching accessories for the preparation and distribution of compressed air, Metabo offers professionals an extensive range of compressed air products for numerous applications.